Call Box's newest training course brings production tips and tricks to owners of the Panasonic AC160 camcorder with groundbreaking post-production workflows in both Final Cut Pro 7 and Final Cut Pro X.
Panasonic AC160 Guide from Call Box. Unlike courses which focus only on one version of Final Cut Pro — we give you the parallel workflow in both. So, whether you’re using FCP 7, X or thinking of making the leap, we’ve got you totally covered with the AC160 Guide. Call Box, a leading provider of interactive training for digital media professionals and filmmakers, has released its latest training course worldwide, "Panasonic AC160 Guide." Created by Apple Certified Pro instructor Noah Kadner, this training course takes viewers through the usage of the AC160 camera in production and post-production. "Panasonic AC160 Guide" features original content broken down into learning modules with interactive demonstrations and easy to understand, real-world examples. 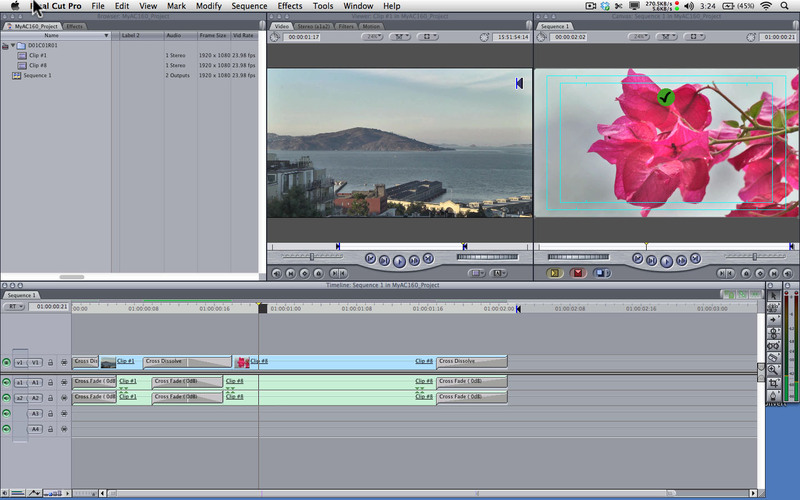 The course offers a complete review of the camera’s functions and field operation coupled with a comprehensive post-production workflow featuring Apple's Final Cut Pro 7 and X. 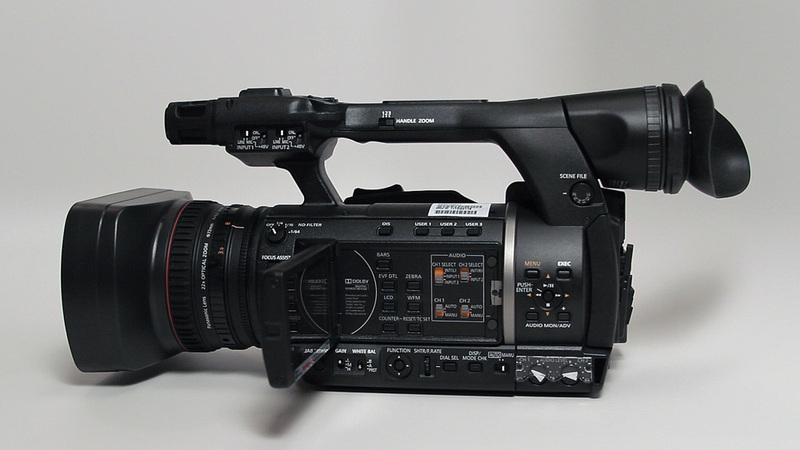 "The Panasonic AC160 is the state-of-the-art in affordable, professional AVCHD high-definition camcorders." says Kadner. 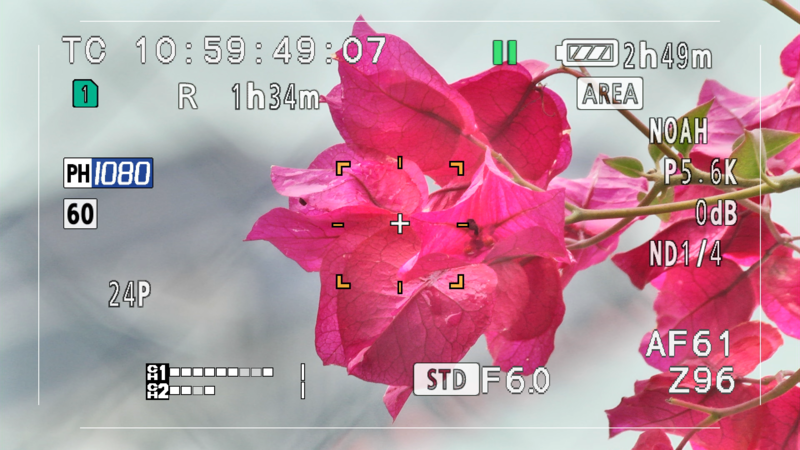 "Armed with this course, camera owners can get to know their camera like a pro and greatly shorten the amount of time to get up to speed shooting great looking footage. You’ll learn every inch of the camera and how to get the most out of it in post-production." Topics include Technical Overview, Menu Tours, Button Tours, Quick First Shot Setup, Scene Files, AVCHD workflow, SDHC/SDXC Card Management, Variable Frame Rates, Exposure Modes, Format Guidance, Final Cut Pro 7 Workflow, Final Cut Pro X Workflow, Digital Asset Management and Archiving, Outputting for Film, TV, DVD, Online and more. Call Box Inc., headquartered in Los Angeles, CA, is a training software developer specializing in post-production products for the digital producer industry. 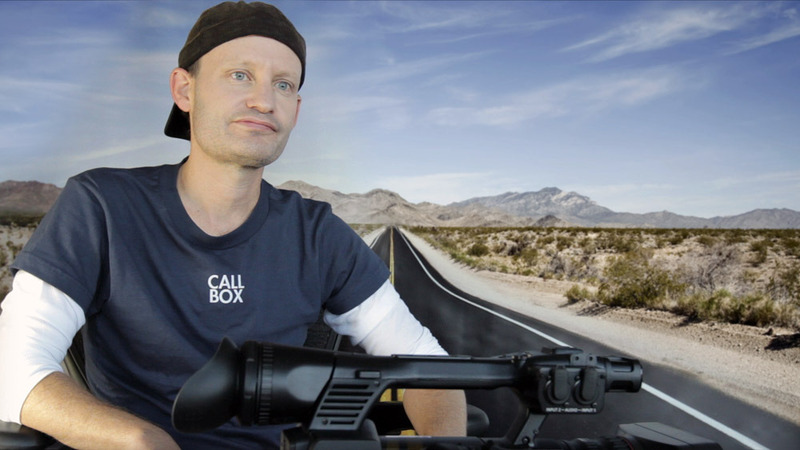 Call Box was founded in 2006 and has leveraged strategic partnerships with key digital filmmaker training specialists such as Philip Bloom and Barry Green. In addition to being an Apple Certified Trainer in Final Cut Pro 7 and X, Noah Kadner administers several online filmmaking forums including 2-pop, Creative Cow and DVXuser.com and is the owner of Call Box. Noah wrote “RED: The Ultimate Guide to Using the Revolutionary Camera” a 360-page book for Peachpit Press. He also wrote about Disney’s “Tron: Legacy” and “Prom” for American Cinematographer magazine and is considered a leading expert in digital filmmaking and post-production workflows. "No one knows digital post-production better than Noah. Highly Recommended." 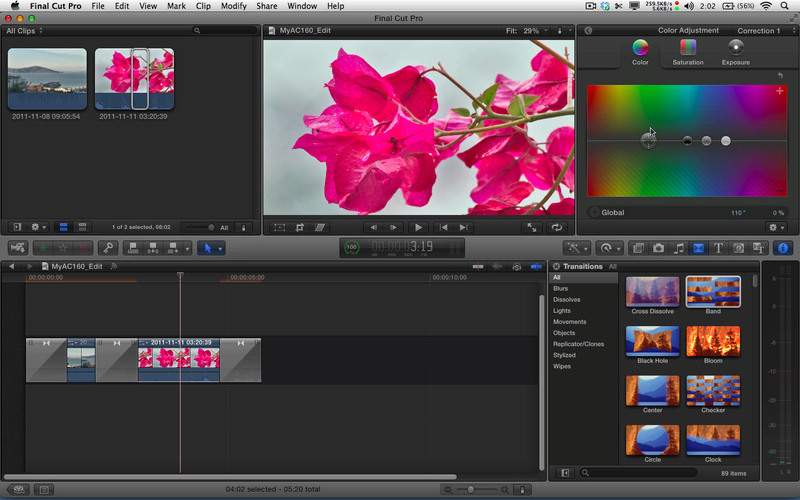 Michael Horton, Founder, Los Angeles Final Cut Pro User's Group. "Can save you thousands of dollars in post-production trouble-shooting." 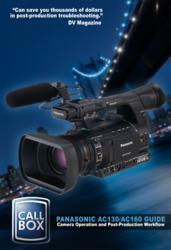 Panasonic AC160 Camera Course Delivers World Exclusive Final Cut Pro X TrainingPress Release for AC160 Guide The Panasonic AC160 camcorder.The Panasonic AC160 camcorder. Host Noah Kadner teaches tips and tricks on the AC160 Camera.Host Noah Kadner teaches tips and tricks on the AC160 Camera for Call Box. Through the viewfinder of an AC160 achieving depth of field.Through the viewfinder of an AC160 achieving depth of field. 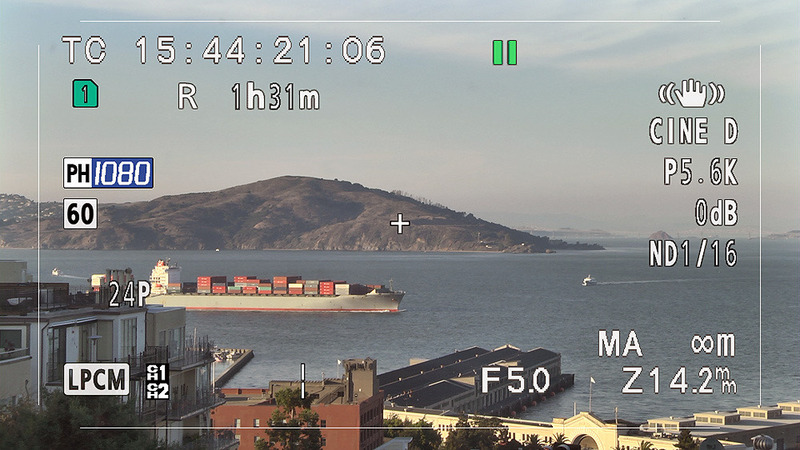 Working with the AC160 camcorder in San Francisco.Working with the AC160 camcorder in San Francisco. AC160 Footage in Final Cut Pro 7 from Apple.AC160 Footage in Final Cut Pro 7 from Apple. AC160 Footage in Final Cut Pro X from Apple.AC160 Footage in Final Cut Pro X from Apple. 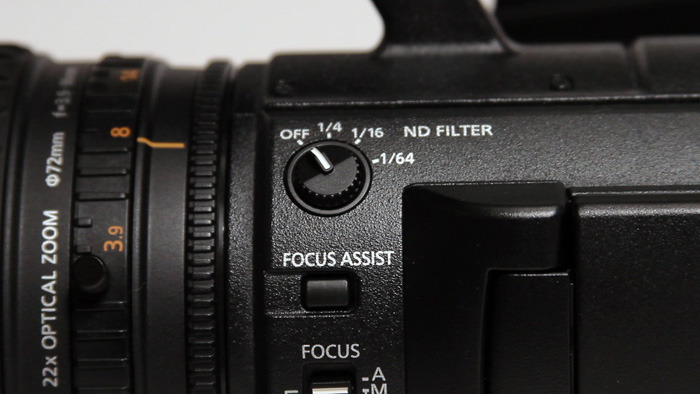 The ND filter wheel on a Panasonic AC160.The ND filter wheel on a Panasonic AC160.